The internet's LARGEST online social media conference is back! Social media marketing changes FAST. 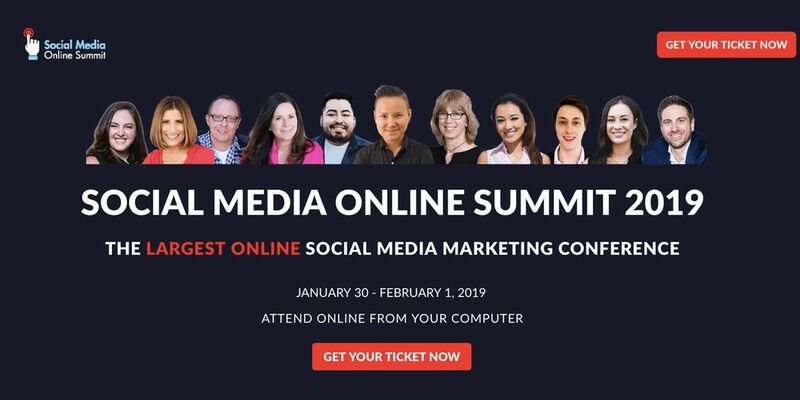 And that's why every year, since 2018, thousands of entrepreneurs and marketers sign up for Social Media Online Summit to learn the latest, the hottest, and what's actually working RIGHT NOW in social media marketing. 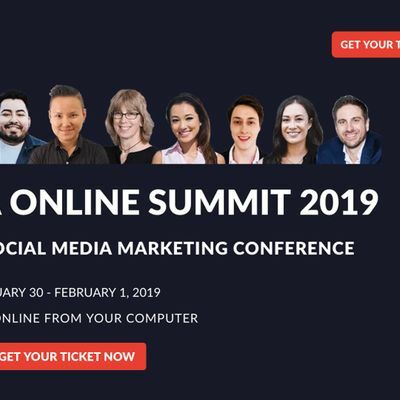 Not every one is able to attend the largest in-person marketing conferences, which is why Social Media Online Summit is the internet's LARGEST social media conference that you can attend from home, office, or anywhere on the road. If you're an entrepreneur, marketing professional, agency owner, or consultant, Social Media Online Summit is created just for YOU. 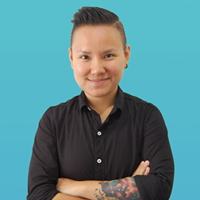 Get access to all sessions designed around specific, ACTIONABLE topics. - Lifetime access to recordings of all sessions. Self-paced. Watch or re-watch every session. - BUY 1 GET 1: BUY NOW AND LIFETIME ACCESS TO SMOS18 FOR FREE! If you do not receive your log in details on January 30th by 11am EST, please send us an email immediately. We aren't able to issue a refund if you do not inform us by January 30th (to prevent fraud). You can cancel your ticket within 24 hours of purchase by sending an email to Y2hyeXMgfCBjaHJ5c21lZGlhICEgY29t, and get a refund minus a USD20 admin fee. There are no refunds after the first 24 hours from purchase. If you've made a purchase and did not receive an email with the exact login details by January 30th, please reach out to us ASAP by clicking on the messenger icon on our website https://www.chrysmedia.com/smos19/ or emailing us at Y2hyeXMgfCBjaHJ5c21lZGlhICEgY29t so that we can advise the login details. However, to help you make a better purchasing decision so that there is no buyer's remorse (we certainly don't want that! ), please check out our free session and sessions highlights available on https://www.chrysmedia.com/smos19/ to get a feel of what the conference and teaching style is like. How do I attend this online conference? Because Social Media Online Summit 2019 is an ONLINE conference, you can attend virtually from anywhere in this world... as long as you have internet! Once you've purchased a value pass or a premium pass to Social Media Online Summit 2019, a unique ID and password will grant you access to all the session recordings. Simply log into the dashboard (link will be sent to you in your welcome email), select the session you’d like to watch, and click play. Value Pass holders can watch all of the sessions from January 30th 2019, 11am EST till February 1st 2019, 11am EST. Premium Pass and VIP pass holders get LIFETIME access to all of the sessions PLUS MP3 recordings of all sessions (from January 30th 2019).